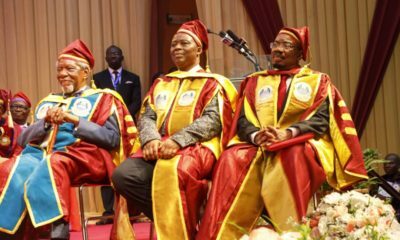 UNILAG Student graduates with record-setting 5.0GPA! The authorities of the University of Lagos said 178 students would be graduating with first class division during its 2014/2015 convocation scheduled to start March 1. The Vice-Chancellor, Prof. Rahmon Bello, announced this at a news conference to kick start the activities lined up for the institution’s 48th convocation. Bello, giving a breakdown of the graduating students, said that 10,907 students would be graduating from the various faculties. He said that the students would be conferred with degrees, diplomas and certificates during the ceremony. According to him, out of this number, 5,472 will receive first degrees while 5,435 will receive postgraduate degrees. He noted that the 178 first class graduating students were among the 5,472 that would be receiving first degrees. 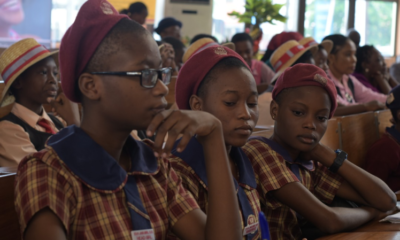 “Also, 1,617 of the graduating students passed with the Second Class Upper division. “A total of 2,496 others will be graduating with the Second Class Lower division, 844 with the Third Class and 274 with unclassified degrees in Medical Sciences and Pharmacy and 50 with pass degrees,’’ he said. Bello said that the Faculty of Engineering topped the lot with 41 being the highest number of First Class degrees out of the total figure. He said that the university would also be graduating 71 students in the Doctor of Philosophy (PhD) degrees category in various disciplines. 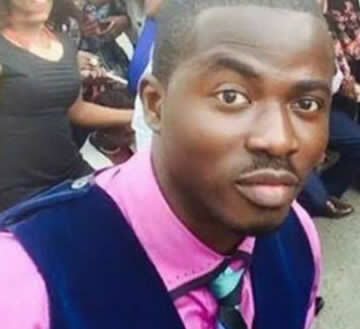 The Vice-Chancellor said that a record had been set this year, with a graduating student, Daniel Ayodele Dada, scoring a Cumulative Grade- Point Average ( CGPA) of 5.00 points. With the grade, Ayodele, a student of the Department of Psychology in the Faculty of Social Sciences, has emerged as the best graduating student, he said. 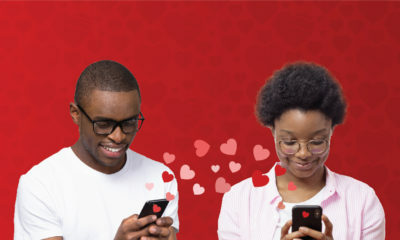 According to Bello, Ayodele’s performance means that he scored ‘A’s in all the courses he took in the programme, describing it as a perfect score. Giving a breakdown of the performances on faculty basis, the Vice-Chancellor said that Arts would be graduating 393, Education 605 and Environmental Sciences 201. He said that the Faculty of Sciences would be graduating 676, the College of Medicine would be graduating 322 and the Faculty of Business Administration would be graduating 803. He said that the faculty of Engineering would be graduating 366; faculty of Law would be graduating 251, 92 from Pharmacy and the Distance Learning Institute would be graduating 1,063. Bello said that management had recorded huge success in its stride to uplift the standard of the university. “Today, our environment is one of the cleanest of all the institutions in Nigeria, as we have commenced waste sorting and this is yielding fruits. “All our classrooms and laboratories are now comparable with those anywhere in any first rated university worldwide. “Research equipment and facilities are now being modernised and research activities are taking new dimensions. “Our internalisation efforts are also yielding fruits, in spite of all the social challenges in Nigeria,’’ he said. Bello said that the university was currently playing host to 33 postgraduate students from various West African countries, under the ECOWAS Academic Mobility scheme, for their various Master and Ph.D. studies. He also said that students exchange programme with some Canadian and Chinese universities were in the offing. Thumbs up Daniel, wow that’s one big record, wishing all the very best as u progress in life. Sure Dan will never job hunt.. Husband masterial tinz… Brains and looks!!! ?? See his eye brow naawww on fleek!! Please the necessary body should try and indulge him. He’s very useful. Too many mentally ill Nigerians roaming the streets. He’s in my faculty and I’m so proud of him. One of the few times we get to produce the best graduating student, we get to do it with a perfect score. Cool dude. Bners help me thank God o as I am one of the 10, 907 graduating students ????? Congratulations Cindy. All the best …. Thank you, you’ll have numerous moments in your life when you get to rejoice too ??? Thank you BN FAM ??? You see why you cant graduate with a 1st class or 2:!? Why wish someone you never met ill? I became regular on bn after I completed my studies which was months ago. This is just a ceremony, I’ve graduated already. I graduated with a 2:1 and what if I didn’t? Will that make you feel better about yourself? I pray that you are healed of your bitterness. I am rejoicing now so I won’t let you pour sand in my garri. lol which category do u fall in before i congratulate u, there are unclassified or pass degree too, but everybody is graduating. I graduated wit 2.1 in Economics from OAU aka Great Ife, d best Uni in naija so far, currently in d oil & gas, all thanks to God for His Grace, am so proud of me!!!! Meanwhile big congrats to Daniel i pray he finds his feet in d labor market becos d slogan that works in nigeria companies today is ‘WHO KNOWS WHO” but if u know God who knows and rules in d affairs of men he will establish u perfectly. The sad thing is there relatively are few opportunities for a graduate with Psychology in Nigeria – first class or no. Trusting that his obvious smarts helps him think innovatively about his career. Congratulations – takes a lot of discipline to do what you have done young man. If he’s got interest in new technologies and ways of working, fields like data analytics, design thinking, ergonomics etc could use a genius like him. Just checked LinkedIn and couldn’t find Mr. Ayodele Dada. Can anyone help with an email address with which to reach him? or use @Gidi_traffic on twitter to find him. This dude has As all thru school…..with all it’s distractions. Congrats to him & his hard work paid off in the Uni. Let’s pray that his 5.0 GPA takes him places & get a great job. Gone are the days when such was big deal bcos companies will be rushing u. Naija is worse now. The institution is even supposed to give him his first job, but some will turn u around till you’re frustrated and find ur way. Most companies won’t even employ u. Mtcheeeewww.. Naija is messed up.. I’ve seen and concluded that the safest thing to graduate with is a 2.1 , with other skills attached. I wish him all the best. You sure bitterness is not involved in this your comment? A whole valedictorian, of one of the recognised universities in the country? Or maybe you don’t know what you are talking about. First class degrees are still very much sought after, by top grade companies. He may be better off going on for his postgraduate degree abroad though…big congrats to him. Whoooop! A graduate of my dearest FSS, Unilag? Congrats to you. May God make it work for you after school. Amen. Now let the American and UK college Scholarships start rolling in for his masters degree. Full scholarship including free accommodation, books paid for plus additional stipend. Tis the season of blessing, 🙂 Jumokes own was God just showing off. The real blessing is about to start for you all and I too. Exceedingly Abundantly above all you can imagine. 2.1 with no connection = no job….most of the time…..But this guy is too HOT 5/5…He is definitely gonna go places. Nobody elp me zi d author of the haticu? nawa ooo…see comments…..I don laff tire…..Congrats to Daniel Ayodele Dada (DAD)…..beauty plus brains……keep soaring high brother!!! This guy makes my department proud, just yesterday the lecturer taking statistic said, he got 100 in his exam, and he was like this gentle man can’t have all my marks, so he intentionally started looking for mistakes in his workings, so he could deduct 2 marks, he said everything was just too perfect. no mistakes!! #Truepsychol. We all proud! !